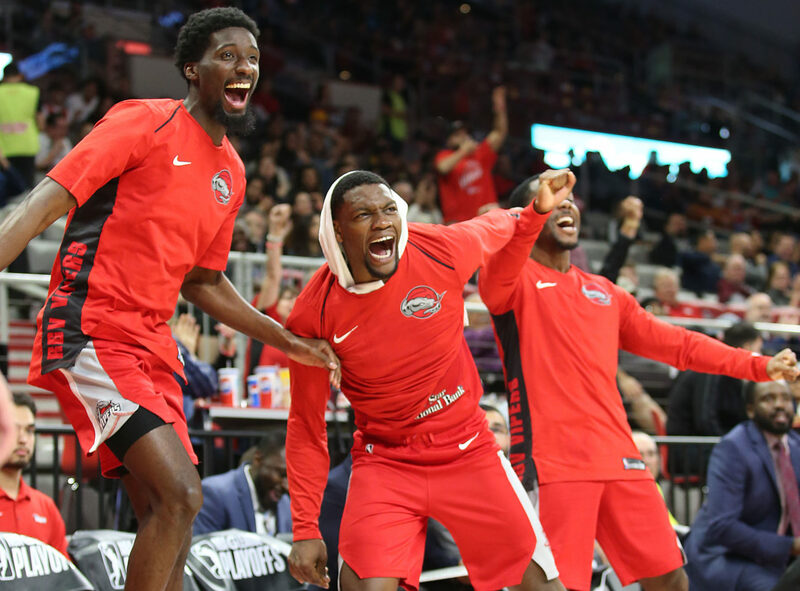 When the RGV Vipers and the Long Island Nets take to the court today, the Vipers — one of the most storied franchises in the NBA’s minor league organization — will be eyeing their third championship, which would be the most by any team. Currently, three teams have two championships: the Vipers, the Santa Cruz Warriors/Dakota Wizards and the Austin Spurs/Toros/Columbus Riverdragons. All three of those teams have also been to the finals four times. The Vipers won their first title in 2010 against the Oklahoma City Blue. They returned to the finals the next year only to lose two games to one to the Iowa Energy. In 2013, the Vipers swept the Santa Cruz Warriors, 2-0 and in 2017 they fell 2-1 to the Raptors 905. This is the first finals appearance for the Nets. Game 1 and, if necessary, Game 3 will be played in New York. The Vipers will host the Nets on Tuesday at Bert Ogden Arena in Edinburg. The Nets defeated the Vipers 110-100 during the G League Showcase in Las Vegas at the Mandalay Bay Center. The Nets had more than 40 attempts from the free-throw line and that proved to be the difference while the Vipers turned the ball over more than 20 times. “All I remember is that they beat us,” said the Vipers’ Gary Payton II. “We need to go up there and take care of business now. In the playoffs, the Vipers are averaging a high-flying 139.5 points to lead all playoff teams while the Nets are tied for sixth at 110.0 per game. The Nets are seventh in the postseason in 3-pointers made per game with 11.5, and eighth in 3-point field goal percentage at 30.7. Long Island and RGV finished 1-2 in rebounding during the year as well with the Nets putting down 53.8 boards per game and RGV at 49.5. The game will be shown on ESPN affiliate ESPN U. Tonight’s game starts at 6 p.m.
Isaiah Hartenstein leads the Vipers at 19.5 points per game, even though over the second part of the season he was scoring at a clip in the mid-20s per game. He is also second in the league with 14.7 rebounds per game. Angel Delgado finished the regular season at 14.8 rebounds per tilt for the Agua Caliente Clippers. Payton is sixth in assists in the league at 6.5 per game and first in steals at 3.0 per game.